The mission of the Committee for the Prevention of Fraud in Transport (CPFT) is to combat fraud and scam and promote fair market practices in the transport sector. We uncover and investigate various criminals, scammers and fraudsters operating in the sector of the rental of passenger vehicles with driver in Europe. Read how scammers from 8rental.com, a website set up and managed by crooks in Moldova, defrauded unsuspecting students in US colleges and universities. The scammers from a former Soviet republic exploited a lack of supervision in the system of financial aid and simply posted fake scholarships in a number of colleges and universities in the US. 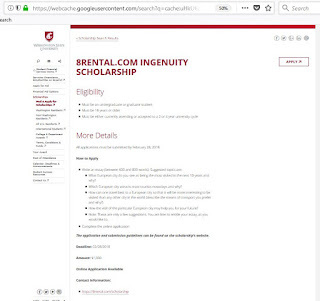 The crooks promised to pay a scholarship in exchange for content written for their website 8rental.com engaged in fraud and scam schemes. In order to fool the students the scammers proclaimed themselves to be "a European giant of transportation" and made reference to a number of preliminary created fake resources on Crunchbase.com, in Facebook, on Zoominfo.com and some others where they posted fake information about being a UK company in operation since 2000 and employing hundreds of employees. In actual fact, behind this website registered in 2016 there are just 2 crooks from Moldova, operating out of Chisinau via a shell entity without any capital or any assets. More information about these fraudsters is available in our investigation into the 8rental.com scam. 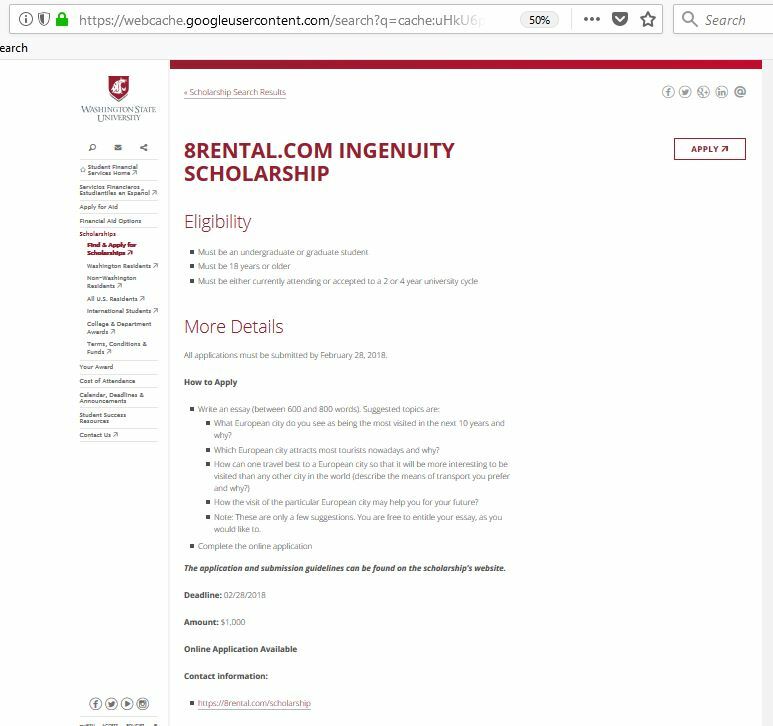 A number of US colleges and universities fell victim to the 8rental.com fake scholarships scam. We were reported this scam was perpetrated in the Washington State University, University of Massachusetts Amherst, Central Piedmont Community College, Eastern Kentucky University. And we have no certitude this list is exhaustive. The person who reported this outrageous case to us alerted the University and, fortunately, quite quickly, this fake scholarship was removed. 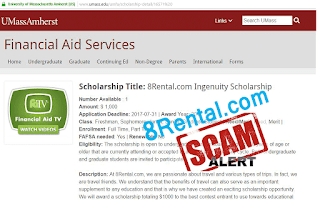 Trying to look credible the scammers even went as far as creating fake Facebook profiles where fake students pose as happy recipients of scholarships from 8rental.com. Please share and distribute the information about this fraud in the social media and other resources. It seems that we can’t go a single day without reading stories of hacking and fraud in the news. Retail stores, financial institutions, hotels and many other businesses seem to be subject to new hacks and intrusions all the time. While many hacks are the result of exploited vulnerabilities in electronic systems, any competent hacker will tell you that the most successful hacks often involve a social component - using human nature to find out information about a person or business and then exploiting that knowledge to commit fraud. This is commonly referred to as social engineering.